A broken down or inefficient air conditioning system can cause some serious problems, especially in the middle of a hot summer day. If you want to keep your air conditioning system operating as efficiently, effectively and reliably as possible, call the Raleigh, NC air conditioning repair and maintenance company you can count on. Call Ideal Services Heating & Cooling. Our technicians have the years of training and experience necessary to ensure the proper care of your air conditioning system. Simply give us a call to schedule AC repair in Raleigh, NC and the surrounding area. There are a lot of different components that make up your air conditioning system, and if even one of these components is compromised, the performance of your AC system as a whole will suffer. If you notice any irregularities with the operation of your air conditioning system, call the Raleigh, NC air conditioning repair technicians at Ideal Services Heating & Cooling immediately. Putting off necessary repair services only increases the risk of serious damage to your AC. 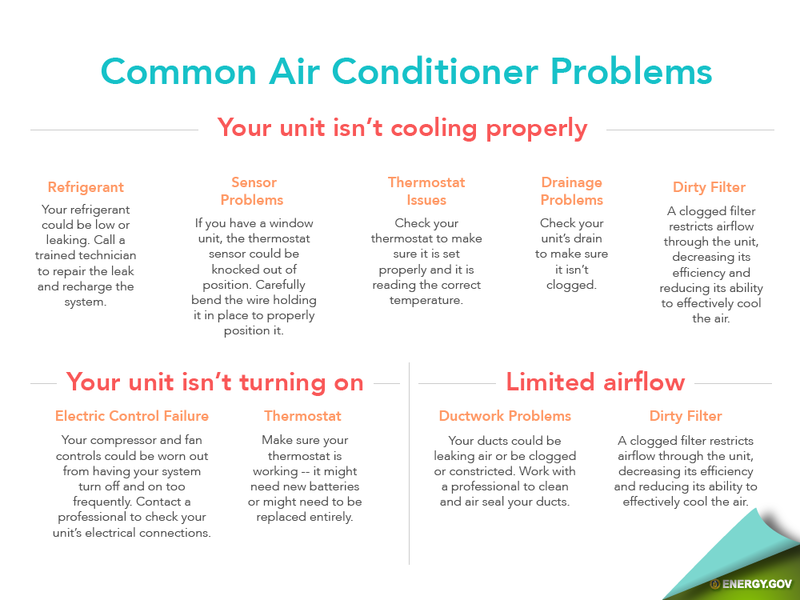 For some air conditioning breakdowns it can be pretty clear that there is an issue. However, there may be issues with your air conditioning system that are not quite as obvious. Pay attention to your energy costs. If your air conditioner seems to cost more to operate suddenly, there is probably an underlying cause that will account for this drop–off in efficiency. Professional repair may be necessary to resolve the issue. The sooner you schedule air conditioning repair, the sooner you can bring the cost of operating your AC back down, and reduce the risk for damage to your system. Even problems that may seem minor, such as strange sounds or smells coming from your AC, may be indicative of a more serious issue. When in doubt, it is always best to contact your Raleigh, NC air conditioning repair technician. The sooner we fix the problem, the better off your AC will be. High velocity systems, and more! To book AC repairs in Raleigh, NC and the surrounding area, don’t hesitate to give our team a call. We’ll send a technician out asap to make the repairs that will get you back up and running. If you are looking for a great way to keep your air conditioning system operating as efficiently and reliably as possible, the solution is just a phone call away. Contact the Raleigh, NC air conditioning maintenance professionals at Ideal Services Heating & Cooling. Routine maintenance allows your air conditioner to do its job while using less energy and it also leads to less wear and tear on your AC equipment. During routine maintenance service, your air conditioning maintenance technician will thoroughly inspect and tune up your system. This allows all of the individual components of your air conditioning system to operate well, making it easier for the system as a whole to do its job. It also greatly reduces the risk of damage to your air conditioner, and also gives your maintenance technician the opportunity to discover and resolve any minor or developing problems with your AC. Contact us today for more information. Ideal Services Heating & Cooling is the company to call for your Raleigh, NC air conditioning repair and maintenance needs. Call today for service you can count on. Our team will keep your AC operating at the exceptional performance levels you demand. In addition to serving Raleigh with affordable and professional AC repair services, our highly trained technicians can help you with the installation of AC systems as well. Although we’re Trane Certified, we also offer repair and maintenance services for other HVAC manufacturers. Whether you own a Central AC system, a ductless HVAC system or heat pump, the experts at Ideal Services Heating & Cooling have you covered.